The MSA Council is composed of the President, Vice-President/President Elect, Secretary-Treasurer, and four Councilors. Councilors are nominated by the Council and elected by the Membership to staggered four-year terms and assist the Officers in the governance of the Society, including nomination of candidates for Vice-President, review of papers submitted to the annual meeting, and attending the annual Executive Council Meeting, which is held at the annual meeting of the Society. 2006 John Wippel Thomas Aquinas on the Ultimate Question: Why is there anything at all rather than nothing whatsoever? 2017 Nancy K. Frankenberry Consenting to Contingency After Rorty and Nagarjuna. 2018 Richard Velkley The Fate of Human Action: The Agency of 'Reason' in Modern Philosophy. 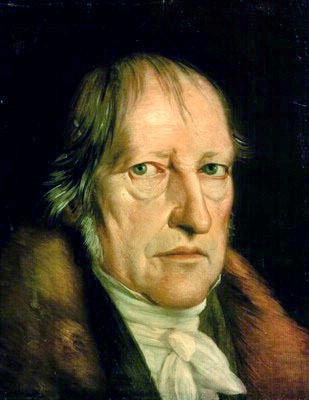 2019 Dan Dombrowski Metaphysics, Political Philosophy, and the Process of Liberal Political Justification. 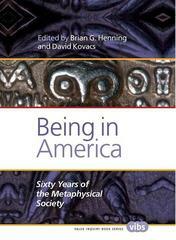 Since its founding in 1950, the Metaphysical Society of America has remained a pluralistic community dedicated to rigorous philosophical inquiry into the most basic metaphysical questions. At each year’s conference, the presidential address offers original insights into metaphysical questions. Both the insights and the questions are as perennial as they are relevant to contemporary philosophers. This volume collects eighteen of the finest representatives from those presidential addresses, including contributions from George Allan, Richard Bernstein, Norris Clarke, Vincent Colapietro, Frederick Ferré, Jorge J. E. Gracia, Joseph Grange, Marjorie Grene, George Klubertanz, Ivor Leclerc, Ralph McInerny, Ernan McMullin, Joseph Owens, John Herman Randall, Jr., Nicholas Rescher, Stanley Rosen, John E. Smith, and Robert Sokolowski. Also included are Paul Weiss’s inaugural address to the Society, an introduction chronicling the history of the Society, and an original Foreword by William Desmond and Epilogue by Robert Neville. Stanley Rosen: Is Metaphysics Possible?